Last weekend, my first weekend as a new member of the Empty Nest Club, my friend Warren took me on a boat ride on Stutts Creek. It was a gorgeous day and a wonderful way to keep my mind off the fledgling I abandoned dropped off at UVA the day before. It's been several years since I've taken a spin on Stutts. What a lovely creek. Chesapeake Bay Woman is very excited about this next chapter of her life and looks forward to returning to regular blogging, among many other things. Labels: Back to blogging, Officially Empty Nesting, Redart, Stutts Creek, Warrren, What's Next? Here are a few shots of some recent sunrises on Queens Creek here in Mathews County, Virginia. Once upon a time, I blogged regularly about such wonderful events as a Queens Creek sunrise, but I've been woefully negligent this year. this whole blog thing has been on the back burner. 2016 has been wonderful thus far. There was so much to report, I didn't know where to begin. Then I said I'd start writing again when Daughter's sports were over. Then I said I'd start writing once she graduated high school. Now, I am declaring to the universe that I WILL be blogging again once I drop her off in Charlottesville in two short weeks. Although all I've done is be a mother for the past 21 years, I am actually looking forward to this new adventure in my life. I am happy for my children to be on their own, and I look forward to what awaits. Aside from returning to blogging and taking pictures, I look forward to volunteering my time. 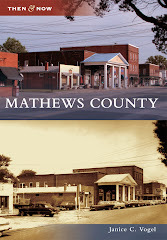 The tourism board of Mathews has informally asked me to participate in some of their meetings and help with their internet efforts. In short, I'm happy for my children to be off on their own pursuing their own interests and building their own new lives. And I'm excited about what happens next in mine.